Daisy Ridley recently issued a warning on Instagram on the intensity of social media and the strive for perfection. It caught my eye on Facebook, through BBC Radio 1’s article and made me realise how intense social media can be. I’ve seen a flurry of engagements and babies, new cars and expensive shopping trips, as well as daily gym half-naked selfies and beautiful healthy meals plague my Facebook, Twitter and Instagram feed. I’m so happy that all my friends are doing well and getting on, achieving their life goals at this stage, but it’s easy to get bogged down in the idea that other people have a better life than you. There is immense pressure on young people in particular when they are surrounded by perfect bodies, perfect skin and incredible social lives, to be as good as everyone else. What we see on social media is a heavily edited snippet of others’ lives – something that people have scrutinised over for a considerable time before publishing. It’s a similar story with my job; as a social media…person..I have to be very careful with what I post on the companies’ Twitter and Facebook pages, to ensure a succinct and coherent message. Posts have to be unique, interesting, positive and have to prove to an audience that the company is very successful and useful to their clients. People do exactly the same thing with their own personal profiles. They want to convey a specific message – some people even go as far as having their own themes on Instagram, meaning the stream of photos that they can post is even more limited. This is not to say that people don’t address negative issues on social media; people can be quite vocal when something bad has happened to them, as they need their friends’ support. People are quick to assume, however, that because a person’s feed is entirely positive that nothing bad is going on behind the scenes. They may be going through a break-up, or they may be facing severe stress at work that they don’t want to publicise, or they may just being going through a rough patch. Of course, such things aren’t uploaded to Facebook, but instead are kept private. What makes a person feel better is posting joyful things that make them feel happy, as a sort of distraction from what is going on in the real world. Can we call Facebook a distraction? Is that all it is rather than a real representation of people’s lives? Whether it is or it isn’t, it’s certainly putting pressure on the people that use it, but it’s important to remember (whatever age you are) that Facebook and other mediums are simply highlights of someone’s life and you shouldn’t feel the need to compare your behind the scenes to their show reel. Have a sneaky peek at my other blog Newbie’s Marketing Record (I’m desperate to change the name but I can’t think of anything as appropriate) – an account of what I’m discovering and learning in the world of marketing and social media. It’s a collaboration of various sources of good marketing examples and advice, from things like infographs to full blown articles (and it’s starting to look pretty and flashy). There isn’t much of my own opinion on there because I’m still learning and don’t know much, so I can’t dish out my own advice yet I’m afraid. The latest post is about whether or not to add subtitles, or closed captions, to a video that will eventually go on Facebook (spoiler: the answer is YES). You must have seen Anastasia. If not, then shame on you! It’s gotta be said that it’s one of my favourite films ever and ranks highest in my favourite childhood films and then in animated films. I just love it. And I recently downloaded the songs onto my iPod, so whenever they come on I get this warm little feeling inside that takes me right back to when I was about ten, sitting with my Anastasia and Dimitri dolls, singing along to the songs with my sister. It gets me right in the heart, tugging at the strings and every now and then making me well up slightly. A good kids film has got to have amazing songs. And Anastasia is just one of many that I love singing along to. 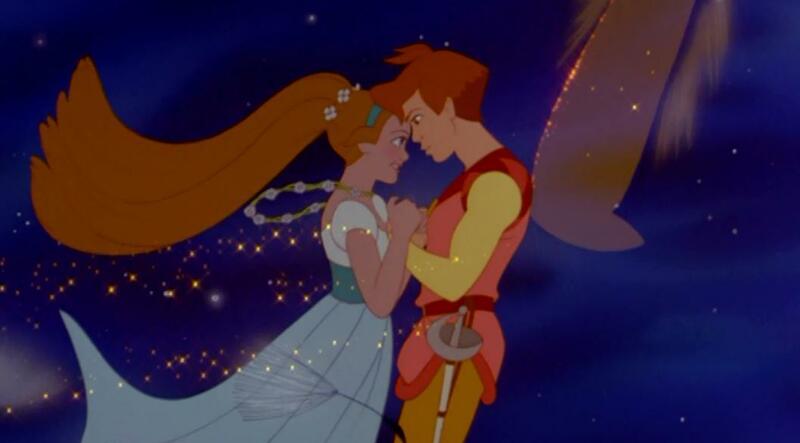 Thumbelina is also one of these, made by the same person actually. It’s just beautiful! In both films, the animation is amazing and the music is so lovely. Let me be your wiiiiings. I mean, how sweet is that?! Sing that to me and I’m yours, quite frankly. 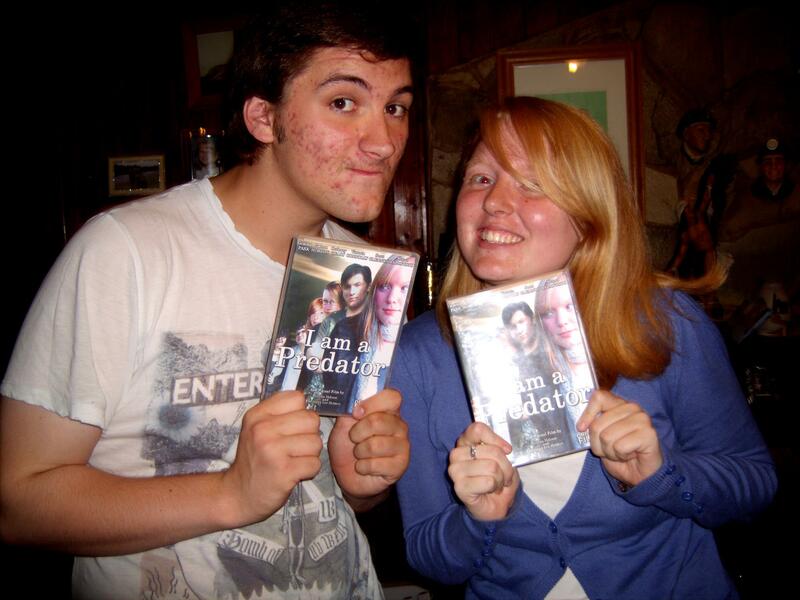 But it’s not just these relatively girly films, oh no! You’ve heard of The Road to El Dorado, right? Please? 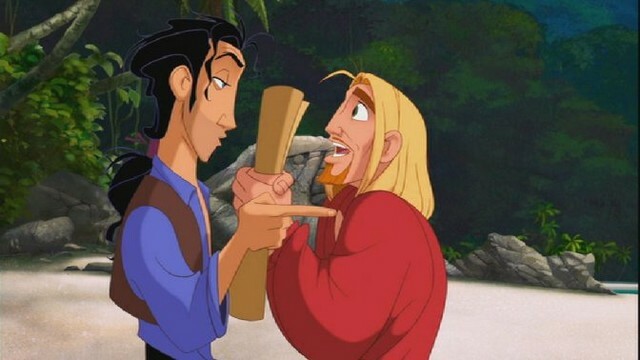 It’s about these two con-men who end up on a ship to El Dorado, the city made of gold. So, as you can imagine, they want to take it all for themselves. It is hilarious, beautifully animated by Dreamworks and the music is just awesome, by the one and only Elton John. And you may have noticed that none of these are Disney films. You’d be right, because as much as I love Disney films with all the nice princesses and everything, I just think there’s something special-er about these kinds of films. Obviously there are others, such as another Dreamworks production, The Prince of Egypt, but these just hold a special place in my heart. 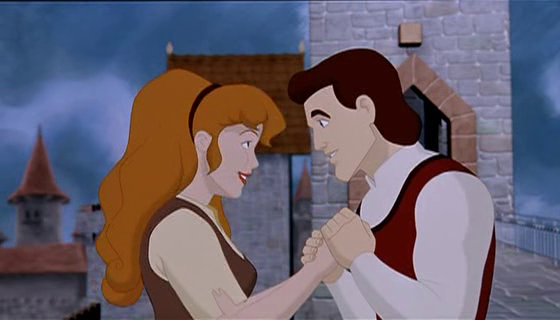 I suppose I also ought to mention The Swan Princess, which is a sweet film, full of love, songs and love songs. Perhaps one of the most famous and heart-wrenching lines: “What else is there?” It’s like nooooo, Derek! You silly handsome fool! Princess Odette certainly is a modern woman. Finally, not to forget the ones that not many people have actually heard of. The Princess and the Pea; this one I found on Sky Movies and I loved it for its sheer cheese! For one thing, the prince is called Rollo which as a name makes me smile because it’s so lovely and for another thing, Rollo manages to crash through a solid iron fence with no injuries, a scene that makes me laugh so much beyond belief. And then there’s a version of Snow White and the Seven Dwarves. 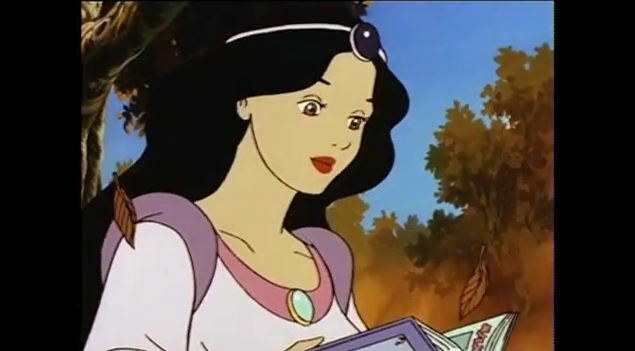 This was a video cassette that my Nana had at her house and I used to watch it all the time, mainly because I loved the dress that Snow White wore and how it was animated. Oh the simple pleasures of children, ey? It took me an absolute age to find both these films, I thought they’d disappeared into a great vacuum of filmic history! I found this on www.ohmypictures.com and it just made me chuckle. Basically, a very complex film studies theory explained as it should be. Well ladies and gentleman, yesterday night I returned home from my second country, Germany. I wonder if you recall my previous post about me flying over there by myself and to be perfectly frank, I was absolutely bricking it. It only really hit me on the way to the airport and I suddenly thought ‘Oh my God, this is actually happening’. Which was a massive slap in the face to realise that I’d be getting on a plane by myself. A PLANE. But anyway, all fear and nerves aside, I made it on the plane and then to Germany, all on my lonesome. Still bricking it at this point. But, as I’m sure you’re delighted to hear, everything went perfectly smoothly from the Thursday night to Wednesday night just gone. I have had one of the best weeks ever, I loved it so much and, you know what? My German skills have gone through the roof – it’s a pity that I couldn’t have taken my exam now just after going to Germany. But no matter. Speaking of which, lords and ladies! As many of you know, earlier today on 18.08.11 it was results day for all A Level students! And, you’ll be please to know, that I have finally risen above the shocking behaviour previously demonstrated within my German grade of a D and I’m now on a beautiful C for the A2 level. I will admit to you now; however, I’m sure you’re aware: that a B or even an A would have topped off this year, but I’m not all that bothered because I have achieved what I wanted – I managed to scrape myself from the floor of the D up into another grade and, perhaps more importantly, this morning I received my confirmation letter from York St John University saying that I have a place on my Film and TV Production course 😀 Erstaunlich! So it would seem that I’ve settled in to German life quite nicely, and I’m hoping to go back some time next year; I don’t know what I would do if I couldn’t breathe that Deutsch air every now and then. How sad. It’s a shame that some people, particularly some English people, I’m afraid to say, don’t care for Germany, because it seems that there’s a certain stereotype that is held over the German people. Well. I’ll have my chance to change the world at some point. As Morgan Freeman would say, “One act of random kindness at a time” (Evan Almighty, 2007). Graduate of Film and TV Production, student of Writing for Performance and Publication MA in Leeds. I'm a Yorkshire girl with big dreams and a little blog.